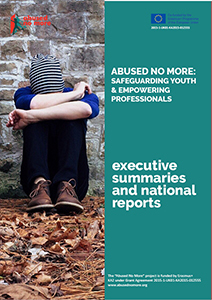 IARS is recruiting research participants for the Erasmus+ Abused No More: Safeguarding Youth and Empowering Professionals project. We would like to carry out one to one interviews with young people, particularly of migrant/ refugee and BAME backgrounds, and focus groups with professionals who work in the field of Violence Against Women and Girls (VAWG). In our fieldwork we are focusing on constructing a public legal education model that would reflect the needs of BAME youth, especially young women who may be at risk of gender-based violence. 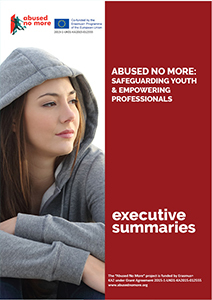 We are going to identify life skills and social competences that can be acquired through provision of gender and culturally sensitive public legal education, and ultimately, determine forms of support that young people need in order to reclaim their rights and tackle gender-related abuse in the community. How legally capable are of young people from migrant/refugee and BAME backgrounds, particularly young women? What abilities does the ‘ideal’ legally capable young person have? What gender-related issues do these young women commonly encounter? How can we develop a baseline indicator in order to measure legal capability? How can public legal education activities improve young people’s legal capability and empower them to live independent and confident lives? Do these young people have any special needs which the designers of public legal education activities need to take into account?